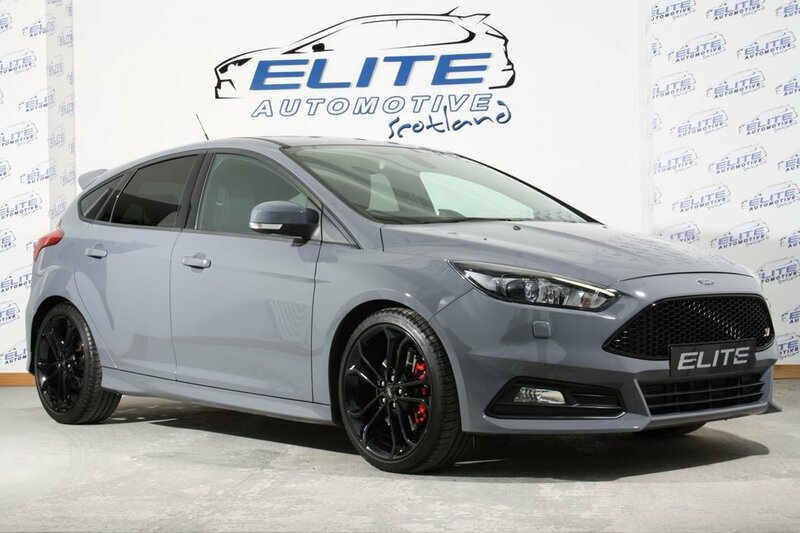 Elite are delighted to offer to the market another stunning Stealth Grey Focus ST-3 with Full Service History and 24000 miles on the clock - Featuring Black ST Style Pack, Navigation and Privacy Glass plus the usual ST-3 spec which includes Full Leather Recaro Interior with 8 way adjustment for driver and passenger seats plus 3 level heated seats! Keyless entry, Bi-Zenon Lights with Day Time running Lights, Sony Sound system and much more - CALL TODAY TO ARRANGE A TEST DRIVE! !